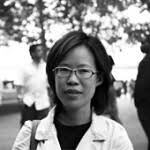 AMES, Iowa — Iowa State University alumna Dorothy Tang, a landscape architect whose work engages with urban and rural communities in areas facing large-scale environmental upheaval, will present a lecture and workshop at ISU. Tang’s presentation, ”Engineered Ecologies: Scaling Landscape Practice in Asia,” will be at 5:30 p.m. Wednesday, Jan. 31, in Gallery 181, first floor of the College of Design on the west side of the Iowa State campus. Part of the Master of Urban Design / Master of Design in Sustainable Environments Lecture Series, her talk is free and open to the public. “The increasingly blurred boundaries between artificial and natural landscapes open up incredible opportunities for designers,” said Tang, an adjunct assistant professor of landscape architecture at the University of Hong Kong and a doctoral student in urban studies and planning at the Massachusetts Institute of Technology. In her lecture, Tang will focus on three environmental crises — floods in Thailand, climate-change adaptation in the Pearl River Delta of China and anticipated deforestation in Myanmar — and explore possible design responses to current ecological issues. While at Iowa State, Tang also will host a workshop for graduate students in the URB D 501: Urban Design Local Studio and LA 604: Landscape Architecture City Matters studio, both of which focus on urban infrastructure and new digital technologies. “Mapping Infrastructures: The Agency of Representation in Landscape Research and Design” will examine infrastructure as a platform for life in a city formed from objects, spaces, people and practices, Tang said. It will provide participants the opportunity to explore “how mapping practices can be instrumental not simply as a form of research, but more importantly as an act of design,” she said. Tang investigates the impact of infrastructural developments on urban form and design, resource extraction and post-industrial landscapes and disturbed landscapes after floods, earthquakes and other disasters. She currently leads projects focused on urban development in post-industrial gold-mining lands in Johannesburg and the proliferation of Chinese urban models in Africa. She holds Bachelor of Landscape Architecture with honors and distinction from Iowa State University and a Master of Landscape Architecture with distinction from Harvard University. She is a registered landscape architect in the state of New York.